A magnified image of the Ebola virus. A patient who was evaluated for Ebola at Howard University Hospital in Washington, D.C., does not have the disease, according to the DC Department of Health and the U.S. Centers for Disease Control and Prevention. That person was admitted to the hospital in stable condition and was isolated. The hospital continues to treat the patient for other illnesses. News4's Doreen Gentzler lets you know what doctors and medical facilities across the country are looking for in identifying possible Ebola cases. In a White House briefing Friday, Sylvia Burwell, the U.S. Secretary of Health and Human Services, said of the Howard case, "What you see are people taking precautions." There are no confirmed cases of Ebola in D.C., said the statement. Meanwhile, Shady Grove Adventist Hospital in Rockville, Maryland, said a patient that had been tested for possible Ebola does not have the disease. "Following further tests, monitoring and consultations with infectious disease experts, our medical team has determined that the patient in our care has malaria and does not have Ebola. We appreciate the excellent work of our clinical team including physicians, nurses and staff, in handling the care of this patient. We also appreciate the partnership of county, state and federal agencies on this case." Two Virginians are being tested for the disease after they met the travel criteria set by the CDC, according to NBC12 in Richmond -- though state health officials said they do not believe the patients have the disease. The patients were isolated from the general population, but were not ordered to be quarantined, NBC12 reported. U.S. officials said at the White House briefing Friday that the Ebola outbreak in West Africa was not just an international health crisis but a national security priority. 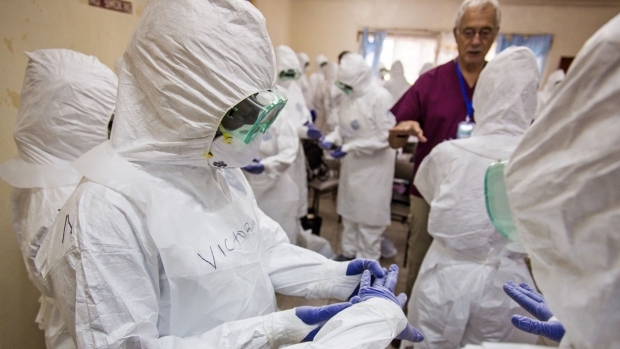 The health systems of some West African countries are "inadequate" and not capable of stemming the outbreak that they face, said Dr. Anthony Fauci, who runs the infectious disease division of the National Institutes of Health. But, he said, the U.S. system is able to handle any cases of Ebola that emerge safely. Between July 27 and Oct. 1, there have been 100 consultations between the CDC, state and local health departments, and healthcare providers regarding persons suspected of Ebola, according to a CDC spokesperson. Only 15 people warranted testing by CDC or one of the labs certified to do Ebola testing, because they met the travel profile and their symptoms were consistent. Fourteen labs in the U.S. can test for Ebola, and most will still send a sample to the CDC for confirmation. So far, only one of those 15 cases tested by the CDC has tested positive for Ebola. Ebola is contagious only when infected people are showing symptoms, according to the Centers for Disease Control and Prevention. People who have been exposed to Ebola will show signs of it within 21 days of exposure, the CDC said. "There is no risk to people who have been in contact with those who have been sick with Ebola and recovered, or people who have been exposed and have not yet shown symptoms," said Dr. Thomas Frieden of the CDC. 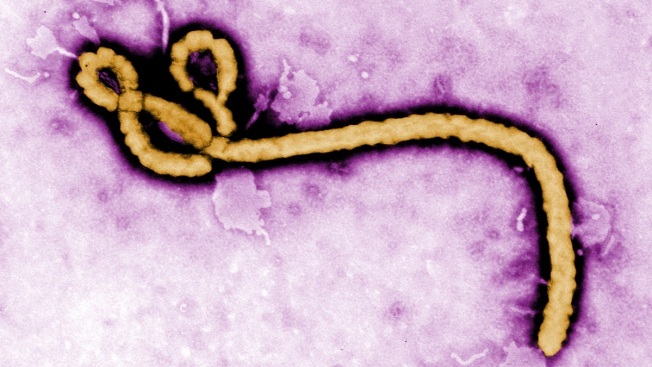 On Tuesday, the CDC confirmed the first case of Ebola to be diagnosed in the United States. The patient, Thomas Eric Duncan, flew from his hometown of Monrovia, Liberia, and through Brussels, Belgium on Sept. 20 before entering the United States via Washington Dulles International Airport in Virginia. He then traveled on to Dallas-Fort Worth. Duncan, a Liberian man with family in the United States, first went to Texas Health Presbyterian Hospital Sept. 25 but was sent home. He returned to the hospital via ambulance Sunday. On Friday, he was listed in serious but stable condition. Thursday, news broke that a freelance NBC cameraman covering the outbreak in Monrovia, Liberia had tested positive for Ebola after experiencing symptoms of the disease. The cameraman, Ashoka Mukpo, had been working with chief medical correspondent Dr. Nancy Snyderman. NBC News is flying Mukpo and the entire team back to the U.S. so Mukpo can be treated and the team can be quarantined for 21 days. Snyderman told MSNBC's Rachel Maddow that she and the rest of her crew have shown no signs of the disease and have taken precautions while covering the outbreak, including washing their hands with bleach. The crew are quarantining themselves as a precaution.